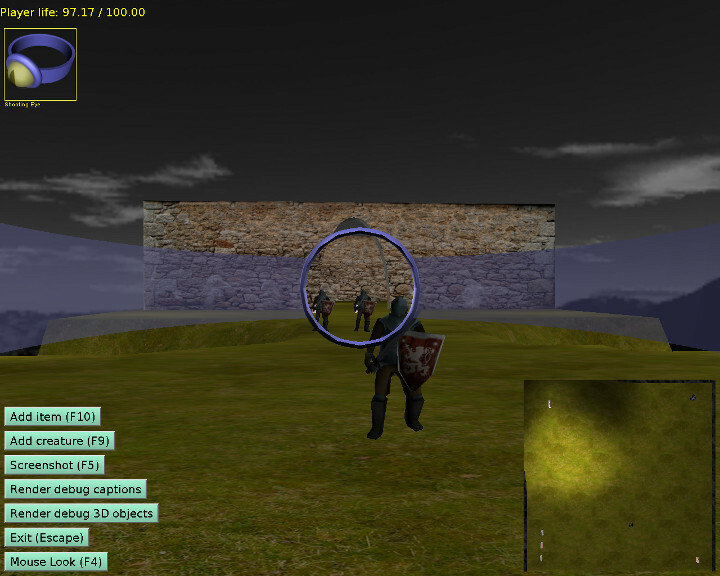 Castle Game Engine is a cross-platform 3D and 2D game engine. It provides an extensible API to create and manage 3D objects, with out-of-the-box levels, items, intelligent creatures and more. 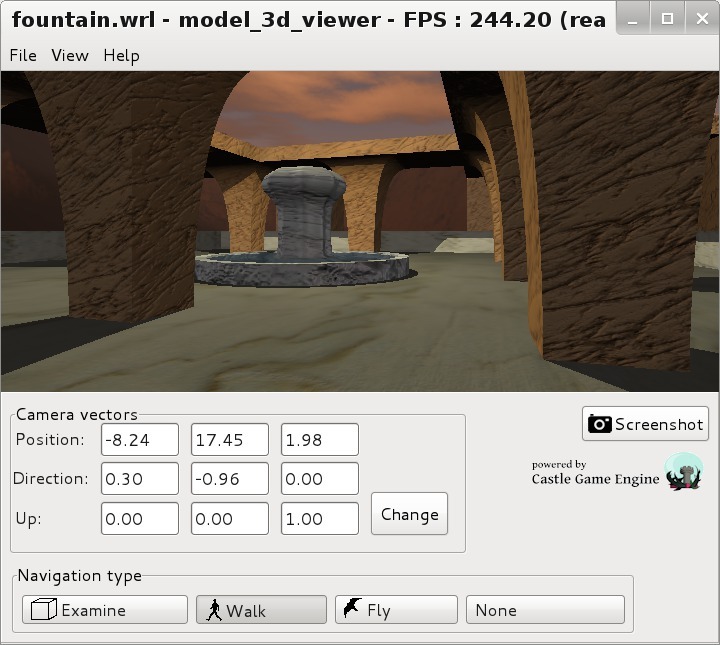 It support 3D models and animations in various formats, in particular very versatile VRML / X3D, but also Collada, Wavefront OBJ, and Spine JSON, that allows 2D animations. Many graphic features are available, like shadows, bump mapping, mirrors, screen effects and shaders. The engine can be used to compile both desktop (Linux, Windows, Mac OS X) and mobile games (Android, iOS). Rendering is done through OpenGL or OpenGLES2. The engine can be used just as a set of units and components. You can also use the engine build tool to easily compile and package your games, e.g. for Android or iOS. The engine is open-source --- the core engine may be used under GNU LGPL, with "static linking exception" like FPC RTL, so you can make both open- and closed-source games. Developed using a clean Object Pascal, for FPC/Lazarus. More complete list of engine features. This page was last modified on 15 May 2018, at 13:48. This page has been accessed 21,356 times.